During wintertime from September to early April, the Aurora Borealis or Northern Lights can be seen in all parts of Iceland so long as the sky is clear and it is dark. Click here for more information about the Northern Lights. We offer different type of tours to Iceland to see the Northern Lights. Some are guided group tours with 16 to 45 passengers, and some are private or almost private tours with only 2 to 6 passengers, often groups of family or friends traveling together. Some tours have a mix of activities during the day, like glacier walks, snow-shoeing or horse riding and some focus on the spectacular landscapes and natural phenomena of Iceland during the arctic winter. If the selection of tours below seems too difficult to choose from, you can call us or send us an inquiry, and we will explain the various options for you. Aurora borealis means ‘dawn of the north’ in Latin, so it’s not surprising that the remote highlands of northern Iceland provide such a perfect backdrop for the spellbinding northern lights. The shallow water of Mývatn reflects the iridescent lights as they dance across the night sky, casting an ethereal glow over the dramatic, volcanically-formed landscape. The northern lights are one of the great natural wonders of the world, illuminating the night sky with continually changing patterns of iridescent color and producing a natural laser show. Our Northern Lights Exclusive tour in Iceland will take you to Western Iceland where you will get to explore beautiful landscapes, stay in a country lodge, and hunt for the spellbinding northern lights. Visiting Snæfellsnes, Hraunfossar, Borgarfjordur. Enjoy the luxury of a top class country hotel, while hunting for the Northern Lights and exploring the magnificent landscapes of southern Iceland. A private driver picks you up at the airport and drives to the villa where you stay 3 nights in luxury. Enjoy dinner at the gourmet restaurant. The next 2 days you go on guided tours to experience the famous Eyjafjallajokull Volcano and the most beautiful places on the Golden Circle. Stay the last night in Reykjavik 4 star hotel. The Northern Lights or Aurora Borealis are an enchanting spectacle in Iceland’s skies. When you see the Northern Lights dancing across the night sky, you will be awestruck by this magical wonder. Blown towards the earth by the solar wind, charged particles enter the earth's atmosphere and collide with gas particles. These collisions emit light that we perceive as the dancing lights of the north. On this trip you stay 4 nights in the Capital, Reykjavik, and go on evening tours hunting for the Northern Lights. You will also see some of the amazing natural scenery of the South of Iceland. Nordika Travel is offering an adventure trip 7 days and 6 nights. This is a small group adventure tour with a professional guide to the wild and untouched nature. The tour is filled with action; ice fishing, glacier hiking, hiking or cross-country skiing, horse-riding or kayaking and more. In addition you can explore the capital city Reykjavik and relax at the Blue Lagoon. Northern Lights Hunt in the evenings subject to conditions. A 5 Day tour in Iceland's winter wonderland, where in addition to experiencing Iceland most famous places we will hunt for the magnificent Northern Lights. A truly wonderful tour including the famous Geysir hot spring area, the Glacier lagoon and so much more. This tour is designed to maximize your chances of witnessing the amazing Northern Lights. Aurora borealis means ‘dawn of the north’ in Latin, so it’s not surprising that the remote highlands of northern Iceland as well as the southern & western coastlines provide such a perfect backdrop for the spellbinding northern lights. The shallow water of Mývatn reflects the iridescent lights as they dance across the night sky, casting an ethereal glow over the dramatic, volcanically-formed landscape. This 10 day tour includes the main areas you may want to explore while hunting for the Northern Lights. Aurora borealis means ‘dawn of the north’ in Latin, so it’s not surprising that the remote highlands of northern Iceland provide such a perfect backdrop for the spellbinding northern lights. The shallow water of Mývatn reflects the iridescent lights as they dance across the night sky, casting an ethereal glow over the dramatic, volcanically-formed landscape. One of the best areas in Iceland to see the magical Northern Lights. The northern lights are one of the great natural wonders of the world, illuminating the night sky with continually changing patterns of iridescent color and producing a natural laser show. Our Northern Lights tour will take you to western Iceland where you will get to explore beautiful landscapes, stay in a country lodge, and hunt for the spellbinding northern lights. 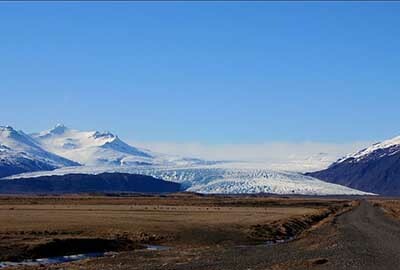 On this special tour you will visit the western and south eastern parts of Iceland. A 5 day tour in winter wonderland Iceland where, in addition to visiting the most famous places of the country, we will also hunt for the magnificent Northern Lights and enjoy wellness and spa in a 4* hotel. This is a real adventure of a tour including such highlights as the famous Geysir hot spring area, beautiful waterfalls and much more. The tour is designed to maximize your chances of witnessing the amazing Northern Lights as well as enjoying the warmth of Icelandic hot thermal water in the midst of the winter. The Blue Lagoon has become a world famous wellness and spa attraction. The Riverside Spa in Hotel Selfoss is designed to reflect the Icelandic nature with the theme of ice and fire emphasizing Iceland´s extreme nature. This trip is a unique experience for the adventurous traveler. Nothing compares to staying in an isolated hut in the highlands covered by snow and darkness. There is nobody else – only you. You will experience the wilderness like only a few Icelanders have been able to. Explore the Icelandic South Shore; waterfalls, volcanoes, glacial lagoon and black sand beaches. Icebergs, hot springs and volcanoes dominate Iceland's beautiful yet rugged landscape. On a guided coach tour, experience the hidden powers of the island including dramatic vistas of the notorious Eyjafjallajökull volcano and the breathtaking Glacial Lagoon. With several overnights in stunning rural locations, you’ll be perfectly situated to hunt for the magical Northern Lights. 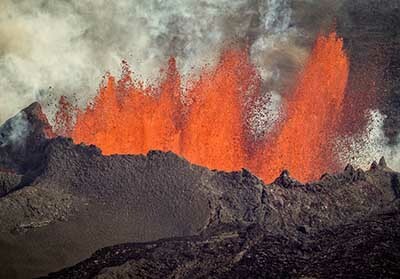 Iceland is one of the best places in the world to experience this majestic phenomenon. Our Iceland trip was a once in a lifetime experience and could not have done it without Björg and the Nordika Travel Team.